PT. Transjakarta opens new route named Kota Tua Explorer (Corridor 12E). This route serves customers who want to go to culinary and historical sites in Jakarta.
" We have operated this route since Monday (1/28) "
PT. 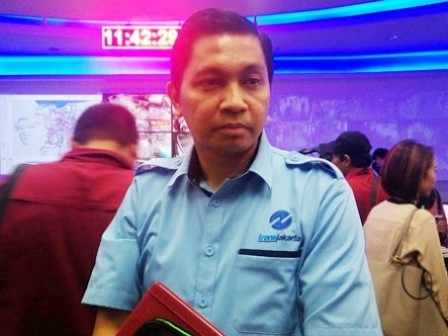 Transjakarta's Operational Director, Daud Joseph conveyed, it picks up and drops off passengers in bus shelters near the culinary spots such as Kota Intan, Mangga Dua, Kota Tua, Maritime Museum Jakarta, and Pasar Ikan. "We have operated this route since Monday (1/28). Initially, we provide three low-entry buses with capacity 50 people each bus," he explained, Tuesday (1/29). This route operates every day from 5 AM-10 PM with tariff Rp 3,500 per trip. Total buses that serve this route can be increased according to public interest. "Hopefully it can ease customer's access to reach Jakarta culinary and historical sites," he mentioned.